Ugh, can we talk about boxed brownies for a minute? I’m all about baking from scratch but whyyyy do they have to taste so good out of a box?! I happen to think that 99% of things taste better homemade but boxed brownies fall in the 1% category, along with Funfetti cake mix and Kraft Dinner. Am I losing you? I hope not. Anyway, I’ve definitely had my fair share of better-than-boxed brownie attempts and I’ve always been disappointed. If they aren’t lacking in flavor and texture, then they require the fussiness of melting chocolate and stirring it into the batter. Not only do I want them as fudgy as the boxed ones, I also want them to be as easy to make. 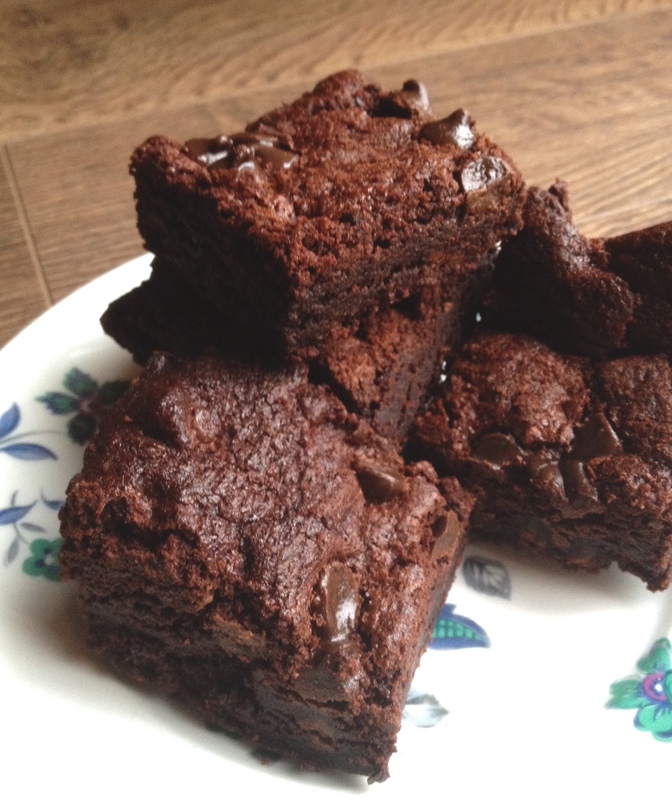 A while ago, I was wowed by this version; they are so gooey and fudgy I could die. These brownies are from scratch, crazy simple and no chocolate melting required. 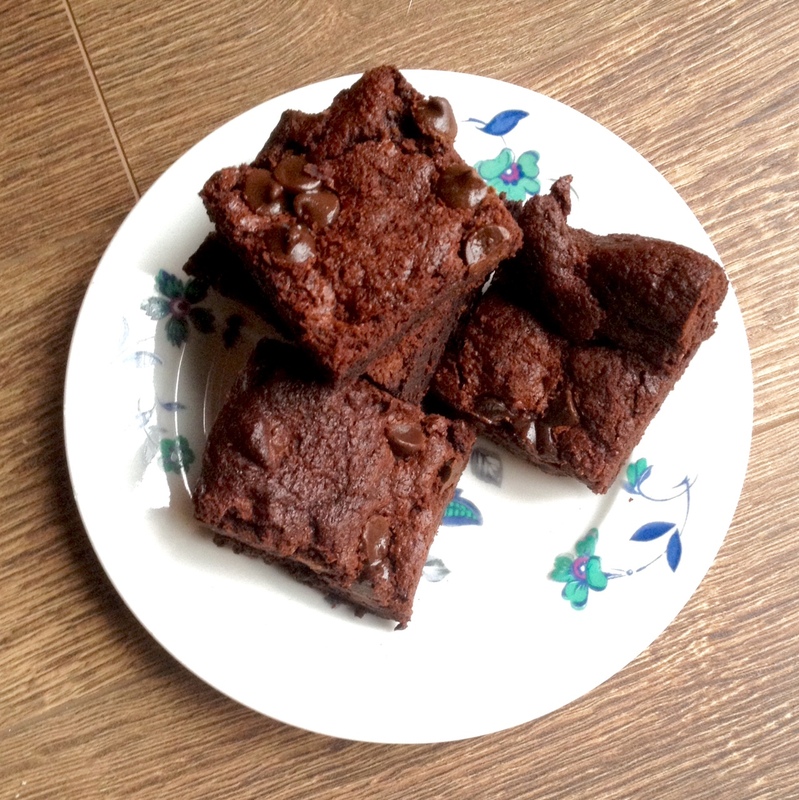 They are now my favorite homemade brownie and they’ll be yours too, I’m sure of it. Now if only we could figure out how to duplicate that so-bad-for-you-but-so-good neon orange powder in the Kraft Dinner box, we’d really be in business. Preheat oven to 325 degrees. Line an 8×11 baking dish with parchment, spray it with nonstick spray and set aside. Mix the butter, oil and sugar together until well mixed. Stir in the eggs and vanilla, then add in the dry ingredients, mixing until very well combined. Batter will be very thick. Stir in chocolate chips. Spread into the prepared pan and bake for 35-40 minutes or until center is set. Once baked, remove from the oven at let cool at least one hour. Cut and serve! Note: I baked these in an 8×8 dish for my last attempt and although I had to bake them a little longer and they were thicker, they still turned out great!